When Bob Geldof announced that he was coming out with the Band Aid 30 song to raise funds for Ebola, it was like seating in a theater and watching history repeat itself. It was not surprising that #bandaid30 brought in a shrew of critics and the African Diaspora found a new enemy. For weeks, I have watched, listened, and participated in some very interesting discussions on Ebola. Mostly, it has been on the Diaspora’s response to the disease. So one day, while minding my business and doing the usual daily social media check-in, I got a message that truly disturbed me because it called me to question whether I should engage myself into all the social media battles over who is right and wrong with fundraising for Ebola. 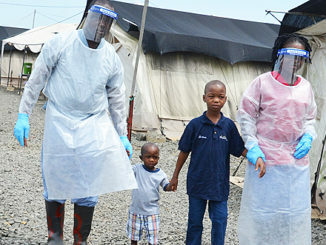 So here is a two-part article on the African Diaspora’s response to Ebola. Note: in reference to the African Diaspora, I am referring to the Diaspora that is not from Guinea, Sierra Leone, and Liberia (this will be explained clearly in article 2). As I watched via social media and blogosphere I seemed to have more questions than answers. For what I saw was frustrating, and frightening. In our efforts of trying to do better that Geldof, and multi-lateral organizations, we have resulted to poor tactics of exalting individualism rather than collectivism in this response to a virus that has no eye for color, nationality, nor socio-economic status. I started to wonder if the likes of Bob Geldof were really the enemy of our progress. While we are trying to keep the West accountable (which is important), I wonder who is keeping us accountable. Band Aid 30 is an awful song. You don’t have to look hard to find its condescending tone albeit much better than its previous versions. Yes, it is a Band-Aid solution for what is a gaping wound, but let’s be serious for a minute; did we really expect Bob Geldof to come to African Artist and say “here, let’s do this together?” This is Bob Geldof we are speaking about. He doesn’t care. He recorded the song, made his own donation, and then let iTunes do the rest, with the help of course from all of us. Controversy sells and I bet Geldof in his calculations expected it and spun it to his benefit. You can’t blame famous people for manipulating the culture of celebrity adoration that we’ve created. This is the same reason that there was a FIFA #11againstebola campaign. Should we fault them for this? In regards to songs like #BandAid30, or other global band-aid campaigns, have we thought about saying, yes, its bloody awful but its a start. Lets see if we can improve on these efforts, and do better. For example, trying to bring our African celebrities together to do a campaign? Or maybe learning the marketing and branding nuances in such campaigns that are raising money for Ebola? In many ways, the response of the African Diaspora to the release of the #bandaid30 was reflective of just how much work is in store for us. We follow. We do not lead. And for us African critics and revolutionaries, we tell them (the “West”) – “we don’t need you”, and then turn around and say “ you need to do better, fix the structural issues.” Even I get confused, because it seems we don’t really know what we want from the West. On one hand, we invite them in, while the other hand tells them to shoo away. Oh the joys of mixed signals! When we finally caught on to what was going on in West Africa, the communities in the US, and to my experience in NYC acted by hosting forums, fundraisers. These efforts are to be applauded. These efforts continue today. But lets face it, we were late! Whether it was in our action to send money, resources, hold forums, raise awareness we waited until Ebola made headlines for us to wake up to the fact that we had responsibility to act. We waited at least three months before we truly rallied in Diaspora to act upon the crisis. The attitude of most was that this was going to pass. Until July when the two missionaries came to the US to be treated, the diaspora was still acting in pockets. Special exception is to be made for the diasporans from the countries affected. They were, first responders whether it was by sending resources in medical supplies, money or holding forums to properly access the situation. When the rest of the diaspora caught on, it was in the most unorganized manner that it was hard to follow any of the efforts or know how to contribute in funds. At times, you would find three events in the same zip code, at the same time. We were, and are still scattered. We did not allow media to box us in. One of the best examples was the episode of the two Senegalese students who were bullied over Ebola in New York City. Not only did the community band together to speak out against such behavior, the leaders made sure that the media told the story correctly. Another example has been the success story in Nigeria. While the metanarrative would have been that WHO, and UNICEF were key players in making the country Ebola-free, Nigerians used mediums such as social media and blogs to correct this misconception by owning their success. It is thanks to new media that we have also seen Africans play a role in telling the stories, with first hand accounts, and call to action. However, let us not pat ourselves on the back…at least not just yet. We let our voices be heard, but seem to be failing in adequately providing the necessary support. We are caught in a perpetual circle of blaming the Western entities for what they are doing, while refusing to come together and collaborate on providing ample support and resources on the ground. If diaspora and Afropolitan Africans were to be taken seriously, I wonder what it does to your and our place in the world, and the past month many of you have spent your best time social-mediaring how ignorant Americans are about Ebola. It is almost as if being concerned about Ebola, raising money for Ebola, volunteering your time for Ebola in Africa, promoting efforts to eradicate it are less important than feeling good because you are smarter than a white American who will never read your innovative map. There are things to do for our continent than seek fairness from those whose very power and existence was about debasing you. Post much more about building ourselves – otherwise some may think you have no confidence in our possibilities. Some of this is starting to feel like a dance of approval: Like me! Like us! We are not there yet….. I applaud our efforts. However, we seriously need to consider the quality of our output. We in the diaspora have access to top academicians, marketing/branding professionals, videographers, campaign experts, fundraising experts, grant writers, and a very skilled labor force. Yet, the majority of the campaigns and events we are producing do not reflect this at all. In fact, the look on my social media walls is sad because it seems with Ebola no longer being a problem in the USA, the diaspora has already forgotten the original zeal of Africa responding to this crisis. Yet in Sierra Leone, the infected numbers are rising. So what happened? Ebola is not just an African issue, it is a humanity issue. It is obvious that the countries that are affected cannot work on this alone. At this point, with the slow mobilization of the communities, and campaigns, maybe Bob Geldof needs to come back to remind the African diaspora to respond to this crisis. If we can put ego aside, recognize the efforts of each other, and form a true Africa-African Diaspora partnership we might never have to call on Bob Geldof, or Bono to come to our rescue. But there is a catch, we have to do better than we are doing right now. We have to use our skills collectively and effectively in order to meet the challenges and crisis that arise. We need to take charge of the tools available to us, and make sure our strategies are good enough to make an impact. From governments to international organizations, financial institutions to NGOs, politicians to ordinary people on the street in any corner of the world, we all have a stake in the battle against Ebola. It is the duty of all of us, as global citizens, to send a message that we will not leave millions of West Africans to fend for themselves against an enemy that they do not know, and against whom they have little defense. I agree when you say, we’re trying but we’re not there yet. 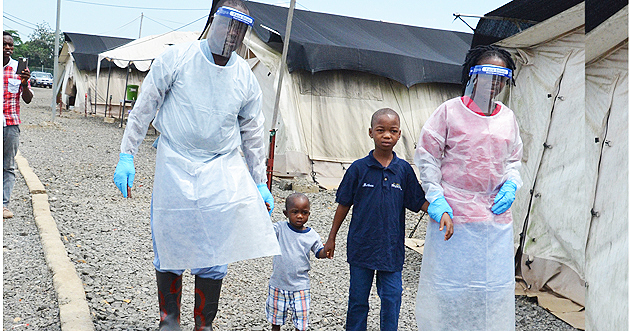 There is a lot – A LOT surrounding this whole Ebola thing. It needs more ‘do’ than ‘say,’ and I think that’s where we’re failing. yes. and it seems that like many things, we jumped on this trend, and now we are not even pretending to care anymore. YET…the issues surrounding Ebola eg. orphans, poor healthcare systems, still exist.